That’s a good question. It turns out that this is a line that many House members — and leaders — have asserted in recent weeks as the legislative agenda in Congress has appeared stalled, especially the effort to repeal and replace the Affordable Care Act. After all, just days after President Trump took office, House Speaker Paul D. Ryan (R-Wis.) laid out an aggressive 200-day agenda that would have resulted in Obamacare repeal, a tax overhaul, a big infrastructure package and funding a border wall all signed by the president before the August recess. “It’s the president and his administration working hand and glove with the speaker and the [Senate] majority leader,” one lawmaker said at the time. Congress did roll back regulations and expand a veterans’ choice program — two other items on Ryan’s wish list — but the other grand plans basically stalled in the Senate, or (in the case of taxes) have not even progressed in the House. Of course, nothing becomes law unless both the House and Senate agree — and the president signs the bill. So what do the numbers show and are they even important? Josh Tauberer of GovTrack calculated the updated figures for The Fact Checker through the end of Sept. 11. The data shows that the House in the 115th Congress passed 321 bills. The next highest of the past five first-term Congresses was the 111th Congress (2009), when 270 bills were passed in the House. But Tauberer offers a caveat. Counting pages, the House in 2009 tops the House this year, with 9,199 pages compared with 7,243 pages so far this year. Counting pages is an imperfect way of judging the “substance” of a bill, just as simply counting bills is. Obviously, not all bills are created equal. Few would argue that the Affordable Care Act is equal to a bill renaming a U.S. federal building. In terms of actual bills signed into law, the 115th Congress finds itself in fourth place, with 56 bills, out of the first year of the last five presidents. By contrast, 94 bills were signed into law at this point under George H.W. Bush in 1989, 82 bills signed under Bill Clinton in 1993, and 62 bills signed in 2009 under Barack Obama. In terms of pages, the 115th Congress ranks second (after Obama and the 111th Congress). That is still not first place. To use a baseball analogy, bills passed in the House are like hits and bills signed into law are like runs. The House Republicans are counting hits, not the runs that win the games. Hits are an interesting statistic, but they do not matter as much as the final score. For instance, the House in 2009 passed the DREAM Act and a cap-and-trade bill to combat climate change. Both died in the Senate, so neither became law — and these issues still have not been settled. In other words, this is a carefully selected statistic to put the performance of the Republican House in the best possible light. Indeed, the House Republican effort appears designed to deflect blame, to the Senate, for the mediocre legislative showing. As Ryan mentioned in the CNN town hall, the House Republican conference has set up a website, didyouknow.gop, designed to highlight all of the legislation that passed the House and awaits action in the Senate. To be fair to the House GOP, the health-care bill that ran aground in the Senate was actually designed to comply with some fairly obscure Senate rules. So from their perspective, House lawmakers believe they did what was necessary to help smooth the way for final passage. We can understand why our reader was confused. Compared with other recent Congresses in a first-year presidency, the 115th Congress has passed relatively few bills into law — and what has passed has not been especially notable. House leaders have certainly fallen short of the ambitions they outlined at the start of the year. Yet the House has passed a lot of bills. That means a lot of players are on base, even if they have not scored yet. Perhaps that is something to be proud of, but in the end it won’t mean much for the history books. 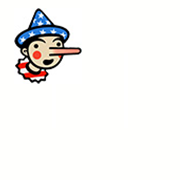 We wavered between One and Two Pinocchios, but ultimately settled on One. The data adds up, but it lacks important context for ordinary voters.